Technology has become very ingrained in our lives. Smartphones have revolutionized how we go about our day-to-day activities. A great example of this can be seen in Instacart, a grocery delivery service. Instacart allows customers to shop for their groceries online and have them delivered to their door, eliminating the inconvenience of going to a grocery store. What is Instacart and How Does It Work? Instacart is a grocery delivery service Apoorva Mehta, a former Amazon employee (Source: The Wall Street Journal). Originally launched in the San Francisco and Palo Alto area, the company was once named “the Most Promising Company in America” by Forbes. Instacart grocery delivery services are offered in 1,200 cities across America. Recently, the company announced that they were expanding into Toronto and Vancouver. 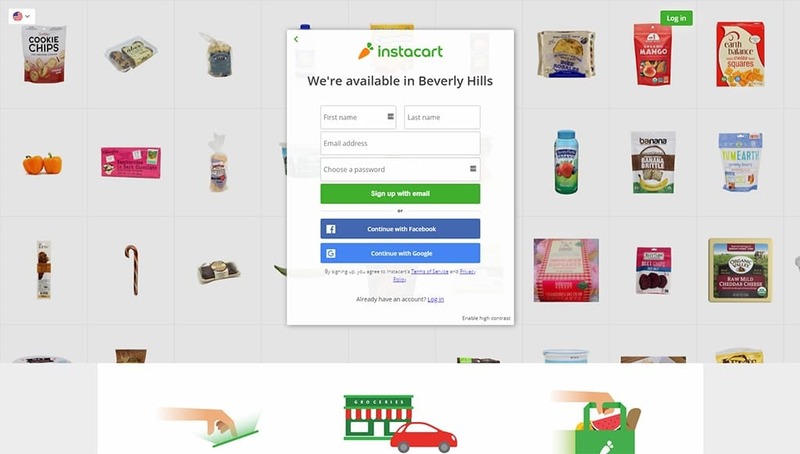 Instacart allows users to select what they would like from a grocery store, and then have a team of drivers who pick up and deliver the goods. In addition to using the online platform, customers can also use Instacart on their iOS or Android devices. It has begun working more closely with national chains like Whole Foods. Additionally, they will offer options from grocery stores that are more local to your area. For example, they offer products from Mollie Stone’s, a chain located in the Bay Area where they were founded. To begin using Instacart, first see if they are available in your area. Sign up / Register through Email, Facebook, or Google Account. Once registered, you will then have the option to sign up for an annual membership or place a one-time order. Grocery delivery services have grown in prominence over the past few years, and Instacart is perfectly representative of that. The service is unique from shopping in a grocery store. It also offers numerous competitive advantages over other grocery delivery services. Instacart offers an incredible amount of convenience over having to make a trip to the grocery store. The fees are minimal compared to the time and effort spent going to the grocery store and picking out your own groceries. This is especially important to consider when it comes to picking up products from different stores. If grocery shopping on your own, the hours would quickly add up as you went from store to store purchasing different products. But with Instacart, all of your groceries are delivered to your door, no matter how many stores you order from. 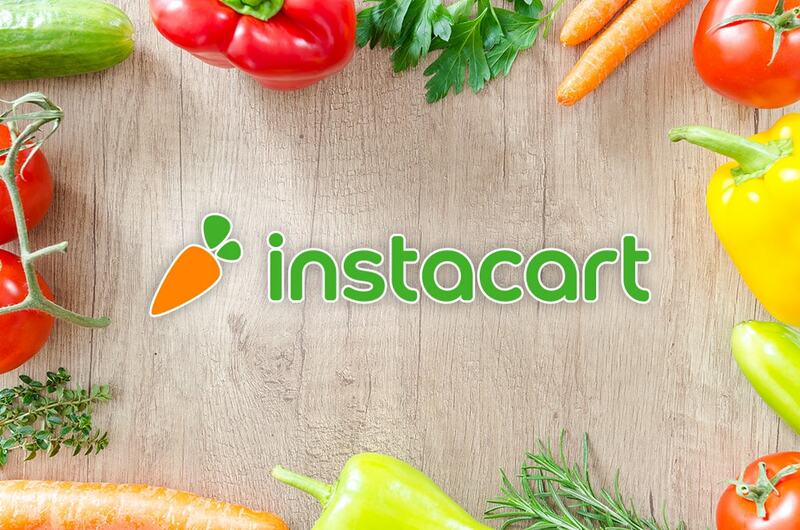 ​Instacart makes it easy to browse from store to store quickly. Add your favorite products from your favorite stores in one shopping cart, and then have all of the groceries delivered to your home. 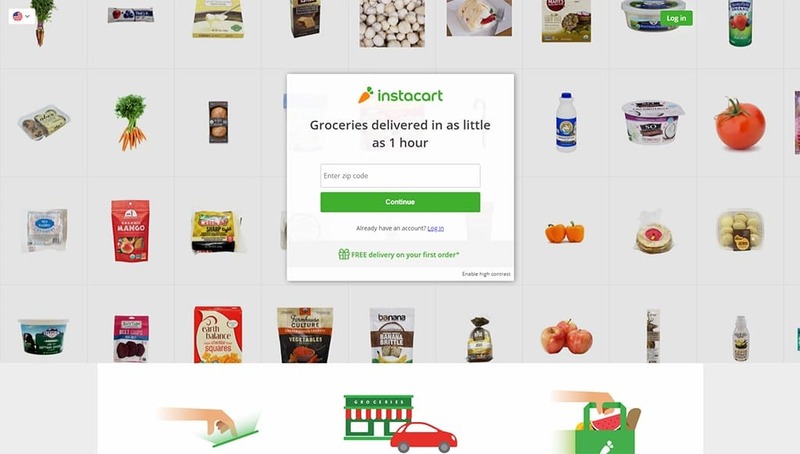 The Instacart shopper that completes your order will go from grocery store to grocery store for you. You pay a small fee to avoid the headache of having to do so. One of the biggest differentiators of the Instacart service is the usability and interface of their website and mobile platforms. For example, it’s very easy for customers to search for different products, allowing them to compile a grocery list easily. Instacart features drop-down menus that allows customers to focus on particular food categories, instead of having to browse multiple products. For those that do not intend to use the service frequently, such as those who are in a last-minute bind, Instacart could be an attractive option because they do not require a membership. Memberships are beneficial because they allow for free shipping options. But if you do not wish to purchase a membership, you can have a one-time delivery for a small fee. This is unlike other grocery delivery services, which require membership before making a purchase. Furthermore, there are very small minimums for an Instacart order. For example, to place a Mollie Stone order, the minimum is $10. This is noticeably different from other grocery delivery services, which could have minimums as high as $50. Instacart is also one of the few grocery delivery services that do not ship from a warehouse. Instead, they utilize the services of freelance shoppers. This personal touch cannot be overstated. It also helps when shopping for things like produce. You don’t have to worry about bruised or expired produce being delivered to your home. Because another person is shopping for you, you receive the same personal care as you would if you were shopping for yourself. This is different from larger corporate grocery delivery services. Lastly, Instacart is more advantageous than other grocery delivery services because they have a more comprehensive list of stores. Many grocery delivery services only allow you to order from grocery stores. Instacart, on the other hand, allows you to shop from a variety of stores, helping you to cross off everything on your list. For example, Instacart users can pick up products from Petco. 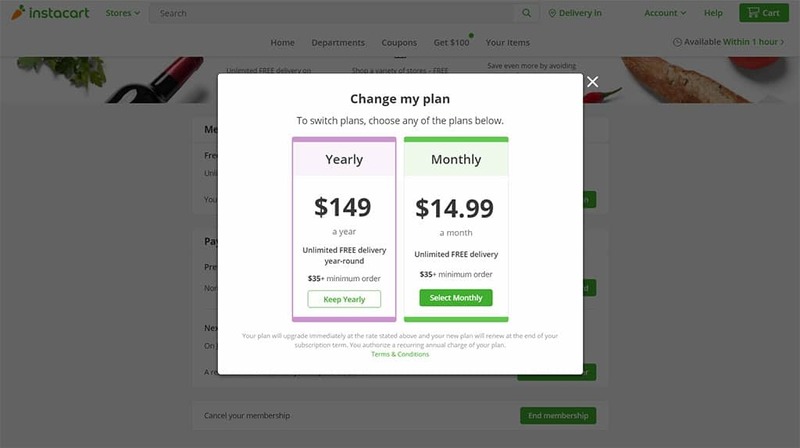 Instacart customers have access to a membership option, which costs $149 per year. This is a bit more expensive than other grocery delivery services. The membership is cheap when broken down to a monthly cost of $12.50. If you order groceries once a week, that cost breaks down even further to about $3 an order. If customers choose not to purchase a membership, the delivery fee is $5.99 per order for rush orders over $35, and $7.99 for orders under $35. For non-rush orders, the delivery fee is $3.99. Additionally, Instacart will charge a delivery fee for each store. So, if someone wishes to order from multiple stores, it will be significantly more expensive without a membership. For these reasons, it is more cost effective to purchase a membership if you plan to use the service at least three times a month. The more purchases you make with a membership, the most cost-effective the service is. the products themselves. The convenience and flexibility offered by a membership make the cost well worth it. The other thing to consider with Instacart is that tips are encouraged. The company adds an optional 10% service fee by default. This tip is optional. You will also have the option to add more or less to the order or skip it all together. But because the tip is added by default, you’ll have to remember to adjust it with each order. The curious part about the service fee is that it does not go to your shopper. If you add a service fee to your order, you’re still encouraged to tip your shopper directly. These fees can add up quickly. It’s definitely something to be mindful of when considering whether you should use an Instacart service. Customers online tend to be very impressed with the wide array of store offerings, which ranges from grocery stores to drug stores. Customers also tend to like that they can accomplish most of their weekly to-do lists without having to set aside time in their busy schedules. Another perk that stands out is that customers are able to shop at Costco, even if they haven’t purchased a Costco membership. Have you used Instacart? Let us know! Please share your thoughts about the experience below. Instacart allows you to purchase almost anything from a wide variety of stores. The flexibility offered by this, along with similar grocery delivery services, is a clear upgrade over the meal box industry. Meal box delivery services deliver fresh ingredients, but they are allocated to three or four specific recipes. 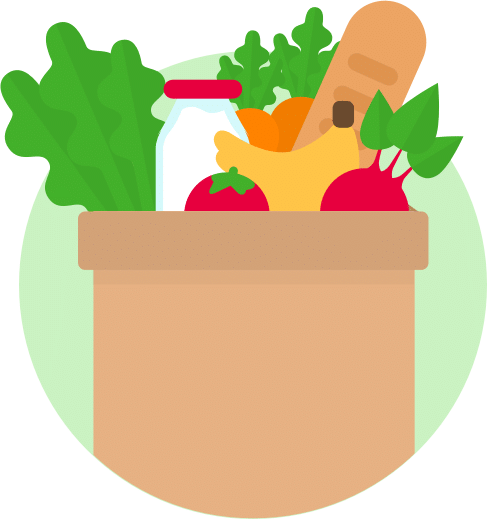 Grocery delivery services like Instacart, however, allow you to purchase all of the food you need throughout the week. Whether you’re looking to make a fresh meal or a frozen dinner, both can be accomplished by using Instacart. If you’re dead set on using a grocery store delivery service, Instacart should definitely be considered. 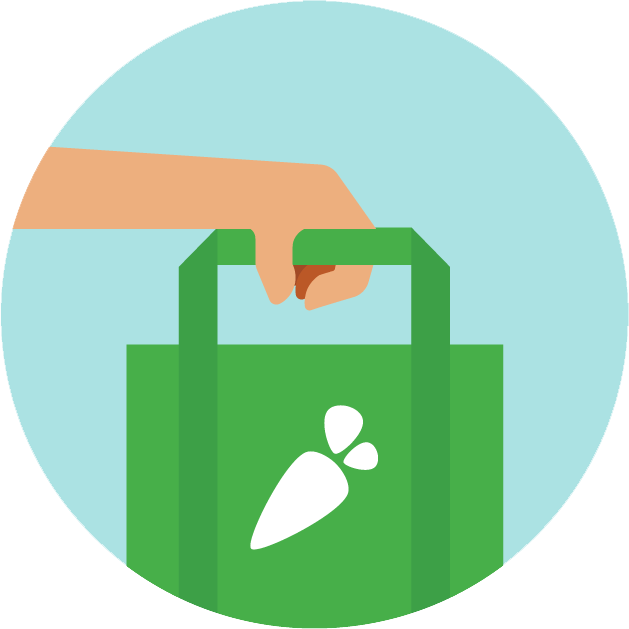 While other grocery store delivery services only offer limited stores, we like the fact that you can get all of your shopping done with the Instacart app. Everyone, from your entire family to your dog, can be well-fed when using Instacart. We also are big fans of the Instacart website and mobile platforms. They are very easy to use and navigate. Additionally, the app saves your purchases for future use if you use the membership option. You can easily order your groceries each week with the click of a button. And, the app makes it easy to modify your order, perfect for the once-a-month Ben and Jerry purchases. The only thing we didn’t necessarily like was the membership cost and options. Shipt, for example, offers a cheaper membership option. And, the Shipt option is available by month and can be canceled at any time. But with Instacart, once you purchase a membership, you are committed for the year. The extra membership fee is clearly going toward quality. Instacart is available in many more locations and is affiliated with many more stores. The extra $50 a year, in our mind, is money well spent. Instacart offers free delivery on your first order with the company. 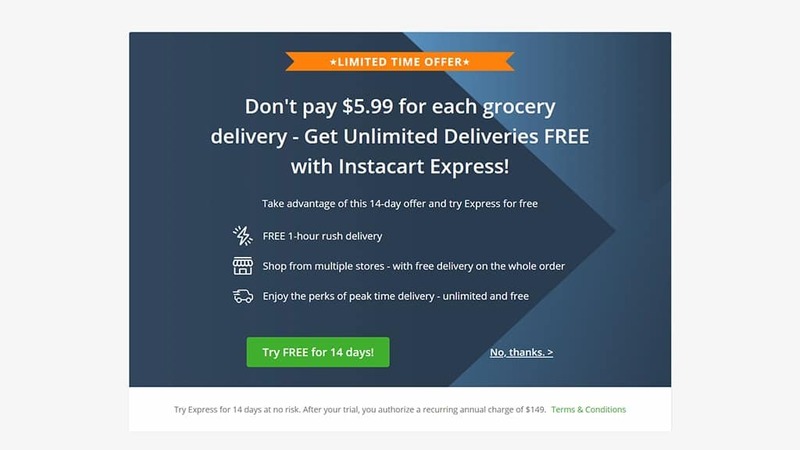 Additionally, there is a Limited Time Offer for the company’s Instacart Express service. Customers are able to try this service for free for 14 days. This service offers one-hour rush delivery for free, and also grants users access to unlimited free deliveries during peak time delivery. Customers can also shop by coupon when browsing items from a particular store. For example, when shopping at Shaw’s, there are hundreds of coupons available. Weekly savings, sales, and exclusive deals all show up, ensuring customers receive discounts just as they would if they were shopping themselves. Instacart does a great job highlighting the deals that are available, arguably more so than any other grocery delivery service. Accessibility to these deals helps enhance the customer experience, especially for those who don’t have loyalty to a particular brand. Instacart users can end up saving a good amount of money if they end up focusing on the deals section of the various storefront websites. Unfortunately, however, Instacart does not honor in-store sales and coupons. If you have a physical coupon that you have clipped from a newspaper or magazine, you will not be able to apply it to your Instacart order. More information about Instacart Coupons here. Instacart offers an incredible amount of convenience over having to make a trip to the grocery store. It also has a great website and mobile platforms which is very easy for newbies and helpful for customers searching for different products. One perk that stands out is that customers are able to shop at Costco, even if they haven't purchased a Costco membership. The downside is that there is no cancellation option. So once you purchased a membership, it means that you will be committed to them for the whole year. Can You Sleep With a Waist Trainer On? Disclaimer: DealMeisters may receive financial compensations from some of the links to products or services on this website.